Knights Armament SR-25 LIMITED EDITION SASS M110 308 Rifle w/Suppressor. Bare Rifle 1 0 .92 lbs. Rifle With Scope 1 2 . 6 2 l b s .
Rifle Sound Suppressor & Bipod 1 5 . 78 lbs. caliber, gas-operated rifle that is regarded for its battlefield performance. 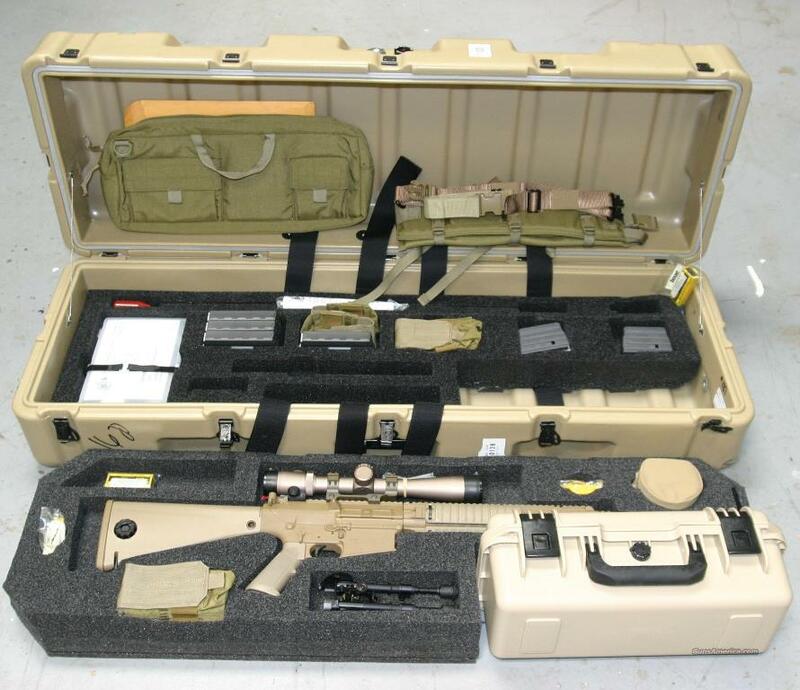 systems is individually marked and is to come as issued by the U.S. Army.